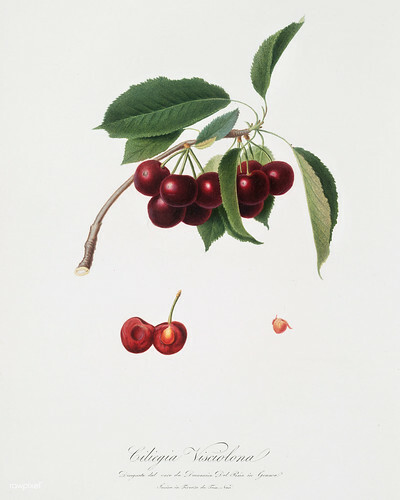 Cherry (Cerasus visciola) from Pomona Italiana (1817 - 1839) by Giorgio Gallesio (1772-1839). Free download under CC Attribution ( CC BY 4.0). Please credit the artist and rawpixel.com.